The star-studded Sausage Party is packed with adult language and scenes of violence, depictions Brenden Theatre officials called inappropriate for the young audience members who were waiting for PG-rated Finding Dory to begin. The incident reportedly occurred within days of the June 17 Finding Dory theatrical release. Eichinger promises it will not happen again. Disney/Pixar’s Finding Dory has smashed box-office records, hauling in $135.1 million during its opening weekend, making it the highest opening for an animated film at the domestic box office. The film is the sequel to Finding Nemo, and follows a fish trying to find her long-lost parents. 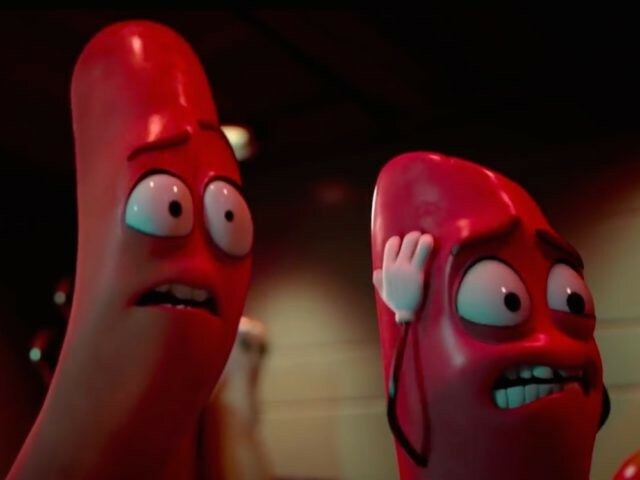 Sausage Party hits theaters August 12, and tells the tale of a naïve group of groceries whose dream of being purchased quickly turns to a dark and deadly nightmare: the reality of being eaten. Sausage Party stars Kristen Wiig, James Franco, Paul Rudd, Salma Hayek, Seth Rogen, Jonah Hill, Edward Norton, and Bill Hader.